The A.A.A.C. Of The San Diego REP Presents "F.A.T. 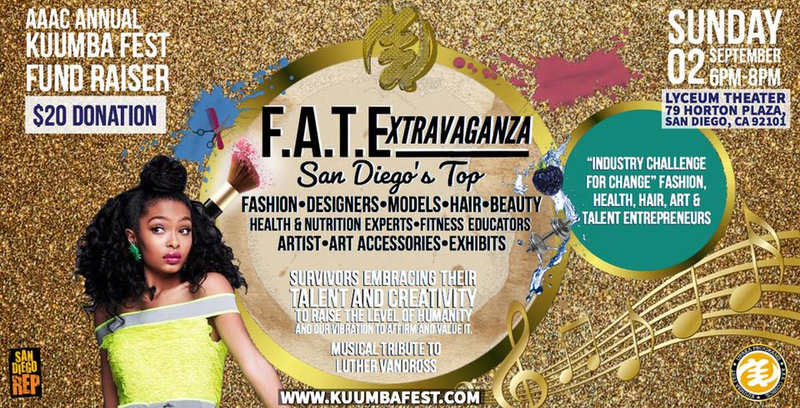 Extravaganza 2016"
Enjoy the awesome musical talent of local San Diego artists, produced by Gem La Femmes. 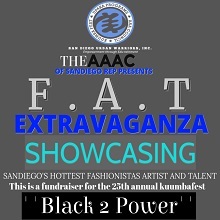 The fashion show will feature designs by Kyuneek Designs. VIP clients will enjoy the priviledge of having a complimentary meal and glass of wine delivered to your up front center stage seating. What a great way to enjoy the entertainment in style while being pampered.